Various Albatrosses and other southern sea birds. We start the tour to antarctic at Ushuaia in the afternoon. Ushuaia is the southernmost city in the world located in the shadow of the Andes. This beautiful city is located to the south of the Beagle Channel and is the biggest settlement of the Channel. Beagle Channel is a strait separating the islands of the Tierra del Fuego Archipelago, Argentina. It separates Isla Grande de Tierra del Fuego from the islands of Nueva, Picton, Navarino, Hoste, Londonderry, Stewart Islands and other smaller ones to the south. The Channel gets its name from the ship ‘Beagle’, in which the famous scientist Charles Darwin conducted a hydrographic survey of the region. We’ll sail through this scenic waterway during the evening. We will arrive at the circum-Antarctic upwelling zone, as we cross the Antarctic Convergence. Look out for Wandering Albatrosses, Grey Headed Albatrosses, Black- browed Albatrosses, Light-mantled Sooty Albatrosses, Cape Pigeons, Southern Fulmars, Wilson’s Storm Petrels, Blue Petrels and Antarctic Petrels in this region! If the winds are favourable, we will enter the Antarctic waters on the evening of the third day near the South Shetlands. The South Shetland Islands is a 540 km long chain of islands located about 800 km from Tierra del Fuego and about 120 km from the Antarctic Peninsula. The archipelago consists of 11 major islands and numerous smaller ones. South Shetlands are mountainous, volcanic islands, windswept and often shrouded in mist and fog; yet they offer quite a few subtle pleasures to the visitors. There is an amazing variety of flora which includes mosses, lichens and flowering grasses. The marine mammals consist of species such as the Crabeater Seal, Leopard Seal, Weddell Seal, Fin Whale, Humpback Whale, and the Southern Right Whale; a rich species list as the Southern Ocean contains the greatest quantity of animal protein on Earth and is ideal for sea mammals. Seal hunters used to frequent the islands in search of Fur Seals, hunting the seals to the brink of extinction. Today, the seals are protected by law, and a few Fur Seals can be found breeding around the South Shetland Islands. Deception Island is in fact the top of a volcano, a caldera which opens into the sea, creating a natural harbour for the ship. Here we find hot springs, an abandoned whaling station, thousands of Cape Pigeons and many Dominican Gulls, Brown and South Polar Skuas and Antarctic Terns. In Whalers Bay the remains of an early 20th century whaling station can be seen. It is one of the safest harbors in Antarctica. Wilson’s Storm Petrels and Black-bellied Storm Petrels nest in the ruins of the whaling station in Whalers Bay. On our first landing we may visit Macaroni Point, searching for Macaroni Penguins. Conditions allowing we may also land at Baily Head, home to a colony of ten thousand Chinstrap Penguins (please note this landing is not always guaranteed and is only possible in good weather conditions). Good walkers may hike from Baily Head over the ridge of the crater into Whalers Bay, while our ship braves its entrance into the crater through the spectacular Neptune’s Bellow into the ring of Deception Island. In the morning we plan to land at Half Moon Island at the South Shetland Islands, where we can observe Elephant, Weddell and Fur Seals as well as Chinstrap Penguins, Blue-eyed Shags, Wilson’s Storm Petrels, Kelp Gulls, Snowy Sheathbills, Antarctic Terns and Antarctic Brown Skuas. 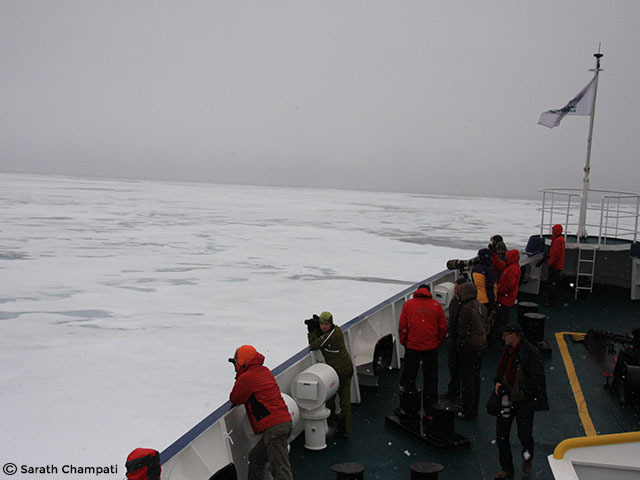 Thereafter we will continue on our way to the Weddell Sea. The Weddell Sea was discovered in 1823 by the British sealer James Weddell. At its widest it is more than 2000 kms across, is located on the south-east side of the Antarctic Peninsula. The Sea is considered high-Antarctic in contrast to the north-west coast of the Peninsula, which is low-Antarctic. The Sea extents so far south that it is under the direct influence of the very cold Antarctic Continental Climate. However, the north-west corner of the Weddell Sea, the area to which our Weddell Sea voyages are limited, is protected fairly well from the prevailing western winds. We will sail into the Weddell Sea and if the Antarctic Sound is accessible and the ice does not prevent us from sailing further, we might see the huge tabular icebergs that announce our arrival to the eastern side of the Antarctic Peninsula. We might even visit Brown Bluff in order to make a continental landing at the Northern tip of the Antarctic Peninsula. We plan to visit Paulet Island, with its million pairs of Adelie Penguins, and to see the remains of the Nordenskiöld expedition. 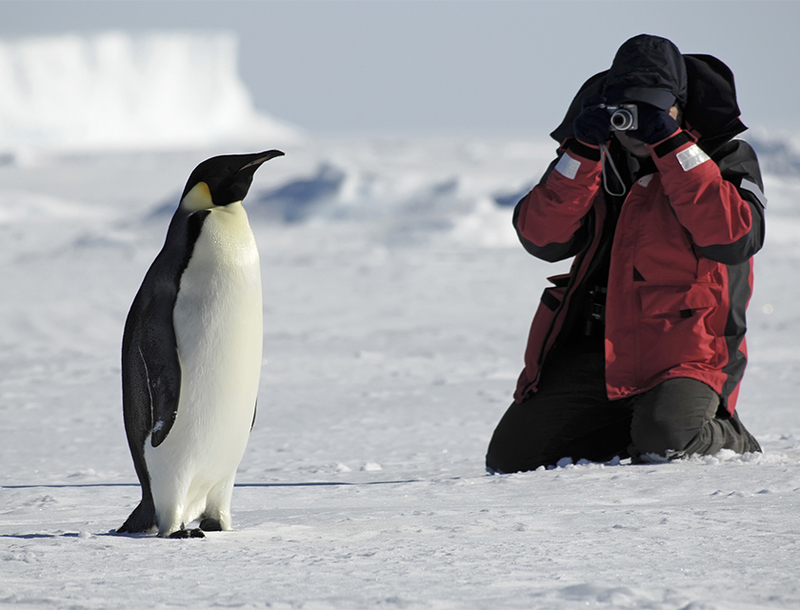 Between Snow Hill Island and James Ross Island there are chances of observing Emperor Penguins on the ice-edge making their way to open water. We are on the search! We try to land at Elephant Island, situated the outer reaches of the South Shetland. The island is named after the elephant seals seen on its shores. Depending on the weather conditions we may visit Point Lookout on the South side of the Island or Point Wild on the North Coast. 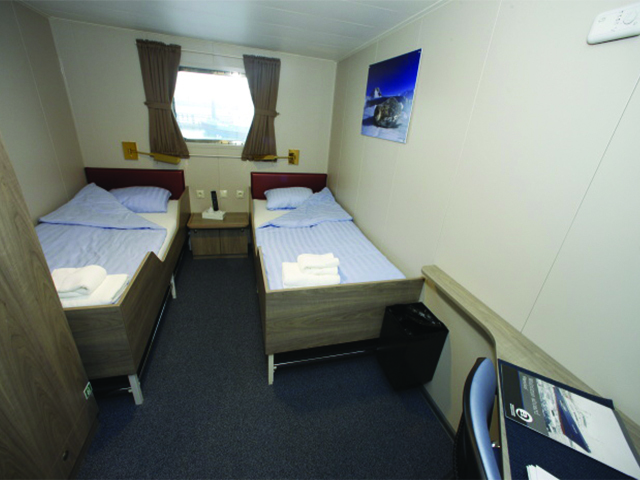 Point Lookout is a favored haul-out site for Antarctic Fur Seals and southern Elephant Seals. Additionally, Point Wild is the historical outpost west of Cape Valentine where Shackleton’s men beached after the Endurance sank in the Weddell Sea. Shackleton started his successful open-boat passage to the South Georgia from here.We follow his voyage up North. The next two days will be spent across the Southern Atlantic Ocean. In the Falklands (Malvinas) we plan to stay two days on the fascinating western side of the archipelago. The Falkland Islands, part of United Kingdom Overseas Territory, comprises two main islands - East Falkland, West Falkland and several hundred smaller islands in the south Atlantic Ocean, off the east coast of southern South America. We will visit New Island, a beautiful place where we will observe Rockhopper penguins, Blue-eyed Shags and Black-browed Albatrosses. A hike along the shore of Carcass Island will give us views of Magellanic and Gentoo-Penguins, as well as close encounters with water fowl and Night herons and other passarines. Weather and conditions permitting, we may attempt, instead of Carcass, a landing at Steeple Jason to visit the largest black browed albatross colony in the world. On Saunders Island we will be able to observe four species of breeding penguins (Gentoo, King, Magellanic and Rockhopper), Black-browed Albatrosses and King Cormorants. We disembark from the ship and transfer to Port Stanley, Falkland Islands. From here you may take a flight back to Santiago de Chile. Please Note: A typical itinerary to the Antarctic region could be as given above. However, the itinerary should be treated as a guide only and not as an exact program. 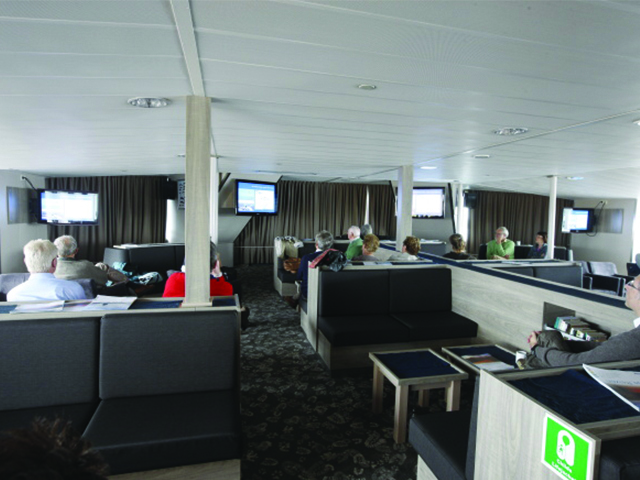 Flexibility is the key to all our cruises and our exact route and program will depend on such factors as weather conditions, wildlife encounters, the experience of the Expedition leader and the advice of the Master of the vessel and crew.